Still playing catch-up on blog posts. Busy, busy as always creating big builds in this world for entertainment properties, real world companies, learning and some just for pleasure – but I still have time to make delightful machinima 😉 This one is of mine and a friends (Benjo Zabelin) build of a little ‘piece-of-a-place’ called Melbourne, Australia (still not sure where that is!). Another Gary, a bio one ;-), managed to take over four hundred images plus hours and hours of sound so I could recreate what it is like to be out there, with you folk in one of your most popular cities. Umm very cramped I must say. 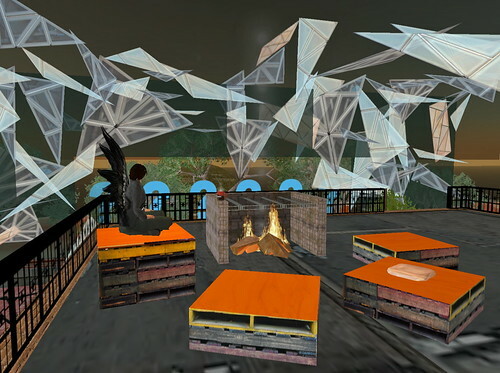 Anyway as you can see below it generated lots of Second Life press interest and it was fun creating a few token, Second Life not possible in real life elements. Victorian Government – Victoria – Would your Business benefit from a Second Life?